Sony just announced a few colorful Core i3/i5 notebooks, and now HP is following suit with its new G62t. 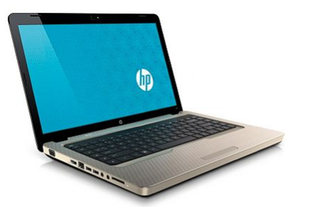 Its design closely resembles HP's $1300 Envy, but you'll pay less than half of that for the G62t's base configuration. That $600 base model has respectable specs, too: a 2.13GHz Core i3 processor, a 160GB hard drive, 3GB of DDR3 RAM, a 15.6-inch (1366 x 768) LED display, DVD burner, and three USB 2.0 ports. It's also upgradeable to a Core i5 or i7 CPU, a 500GB hard drive, and 4GB RAM. You can also tack on a Blu-ray player and a multi-format memory card reader.